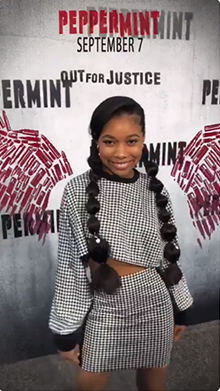 To promote STX’s new movie, Peppermint, Powster created an AR lens for Facebook that puts users inside the movie poster. The lens was built using new ‘occlusion’ technology to remove people from the background. It’s compatible with both the front and rear camera. Find a face to activate the lens, flapping wings then attach to the user and can be changed by tapping the screen.